Join us at the Charles Schwab campus in Lone Tree for the 1st Annual Freedom 4 Miler! Our vendor expo area, stage, registration, port-o-lets and Start/Finish line will all be in the main parking lot area. FREE parking will be available. 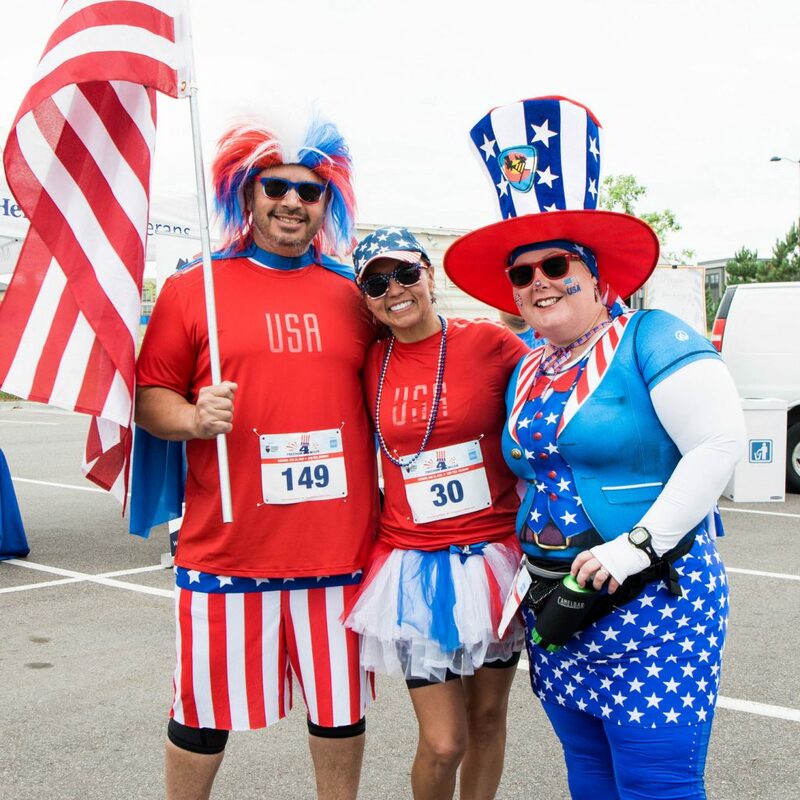 What better way to kick off Independence Day weekend than with the Freedom 4 Miler Patriotic Costume Contest?! To be entered in the contest, simply don your MOST patriotic apparel, and fill out the required info at the event. Not sure what to wear? 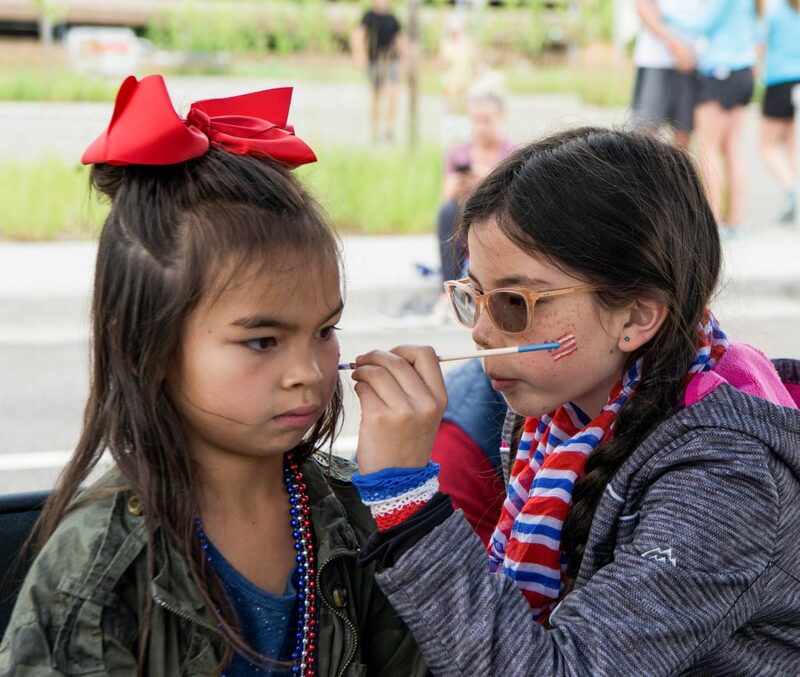 You can dress up in as simple as red, white, and blue clothing—or get as crazy as you want, as long as you’re still able to get around, of course! Think Captain America, Uncle Sam, Lady Liberty, bald eagles, Washington Crossing the Delaware, etc. The more goofy, fun, light-hearted, and patriotic— the BETTER! Rules and info on how the contest will be judged will be posted soon. When and Where is the Freedom 4 Miler? You can dress up in as simple as red, white, and blue clothing—or get as crazy as you want, as long as you’re still able to get around, of course! If you want to compete in the Costume Contest, think Captain America, Uncle Sam, Washington Crossing the Delaware, etc. The more goofy, fun, light-hearted, and patriotic— the BETTER! Both! The 4-Miler can be considered a fun run, walk, or a challenging race. The 1-Miler is meant for those who want a shorter distance while still joining in on the fun – Great for families with youngin’s! Yes, ALL registered participants will receive a timing bib. These bibs start recording your time when you step over the Start line, and stop recording when you step over the Finish line, so you can be sure your time is accurate. At the event, the race results are planned to be posted as soon as possible. We will post the results online (here, as well as Facebook) later that day on Saturday. If you are signed up to receive our emails, you should receive a link to view your results online as well. Unfortunately, we are not able to allow dogs for this race. Can I bring the kids or stroller? Yes, we will have Port-o-lets placed near the Start/Finish. Will there be Water Stations, and where? We will have water stations located along the route, as well as at the Finish line. If you or someone else gets injured and needs help, please call (720) 425-2978. We will have a golf cart and medical team on staff. We will also have First Aid kits available at the Start/Finish as well as at all Water Stations along the routes. If you see that someone needs serious immediate help or needs an ambulance, please dial 911! Sorry, dogs and other pets are not allowed for this race due to our location. We urge everyone to carry a cell phone in the event that you or someone you see gets injured. IF SOMEONE NEEDS ASSISTANCE ALONG THE RACE ROUTE PLEASE CALL (720) 425-2978. We will have a golf cart and medical personnel on site. Remember, if necessary, please dial 911.